Pick-up: Rome, Milan, Florence, Naples, Venice, Sicily, Tuscany, Sardinia. + One way service with delivery and collection of the car even in different places for private flights is possible to request the delivery of the car directly in the runway. Description: Ladies and gentlemen, here the queen of the cars. 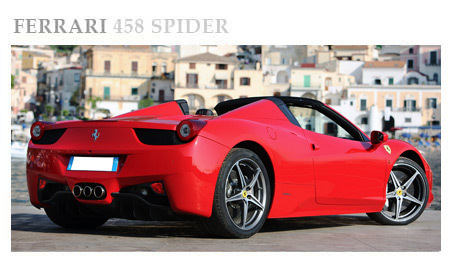 Ferrari 458 Italia is a beauty out of the ordinary, with features of the highest technical level. Like the richest and famous men on the planet you will can get excited driving a legendary car, where comfort, elegance and exclusivity are always on top .. The bodywork is of a disarming beauty, that will leave you breathless; are no less the elegant interiors and the attention to the details, to make you feel pampered like never before. Description: You will understand time immediately , even just at the sight of the bodywork , of the sharp and fascinating and externals of the elegant wheel rims , why this brand is chosen around the world and is a guarantee of success. 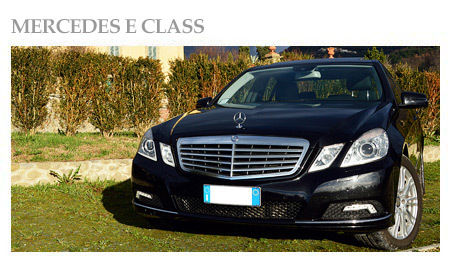 Rent for a weekend or a short period to Mercedes E Class That something you can never forget . Discover a whole Italian satisfaction, enjoy the ultimate in luxury . Description: Comfortable seats front and rear, with a roomytrunk for the cases. The soundproofing of the cabin is perfect, able to give the maximum comfort for the duration of the trip. The large tonnage must not mislead. The interiors are well finished, with the climate that favors habitability and all the options to make long trips. Description: The power of the engine and the convenience of the steering and of the gear are a perfect combination to move with determination and power. In the long straights, the performance will leave you with a unique and unequaled feeling, you will feel wholewith the car, real tamers of the asphalt. 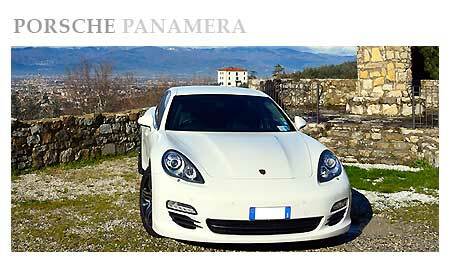 Porsche Panamera is an brand that, thanks to its tradition of luxury and quality gives luster to the made in Germany. 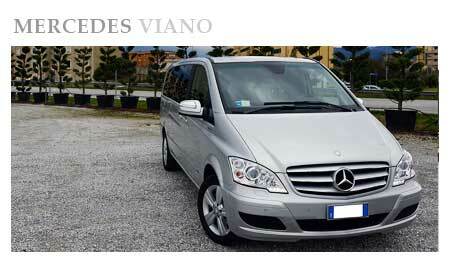 Description: Our VIP service ensures the delivery of the keys in less than 5 minutes from the Airport. Trust the experience of Top Luxury Service, a leader in the rental of exclusive SUV and 4x4. You will visit Naples, Florence, Milan, Ischia, Sorrento, Positano, Amalfi, Ischia and Capri, along the Amalfi Coast. Live an unforgettable experience aboard the most exclusive Range Rover. Description: A heady joy accompanies since the first movements, then explode in pure pleasure, sinking the foot in the accelerator. You will be admired by all. 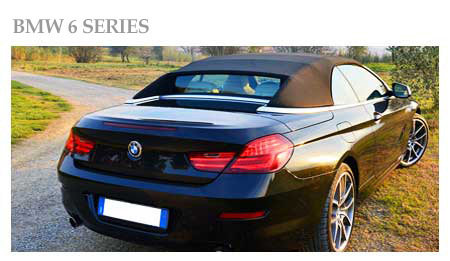 Enjoy a weekend on a Bmw 640 cabrio is undoubtedly an exceptional gift, a vehicle to achieve a hidden desire in the company of a special person. The perfect line evokes speed and power at the highest levels. 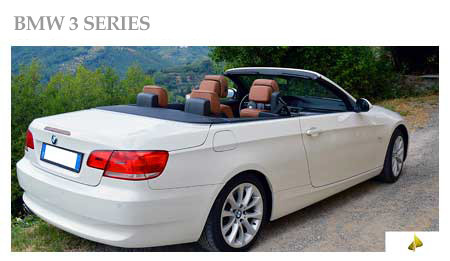 Description: An exclusive 5-star service, for all those who need to rent a Convertible luxury car, with quick delivery. You can pick up the car in Italy and in the major European cities. You will visit Tuscany, Sicily, Rome, Florence, Venice, Tourin, Genoa, Naples and Sardinia. 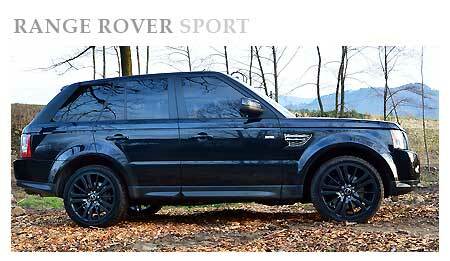 Description: Private Assistance Service Top Luxury Service Choose this service if you need to pick up the keys at night time or if you need to request details. Top Luxury Service, exclusive luxury at your service. Description: Mercedes Viano is a perfect car to meet the needs of the customer who need to move around in groups with suitcases in tow. These cars represent a good solution for those who love to take long journeys in company, or for all those people who have a large family. Among the many advantages there is to have a big space for luggage. Description: Since always Ferrari has placed special attention in the realization of the interiors, to fully express both sportiness, both its unparalleled elegance. The space on board is large and comfortable. Both the driver that the passenger have at hand all the instrumentation. Only few can afford a car like that. When you start the engine, the adrenaline starts flowing in the veins. 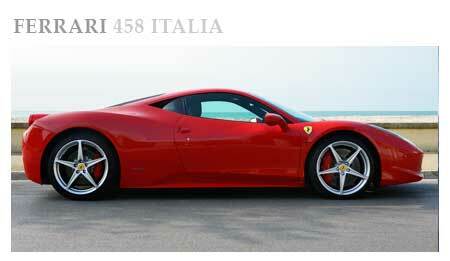 Description: Ferrari has always been one of the symbols of Made in Italy. 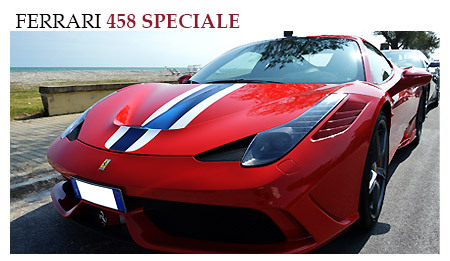 Driving a Ferrari 458 Speciale will give you a feeling of omnipotence. Just look at every customer who puts his hands on the steering wheel: impossible not notice the maximum satisfaction and a tip of absolute proud. The interior of the Ferrari are handmade by Italian masters that dress with extreme care, each part of the car. Description: Incredible handling and simplicity to the guide. A car designed for everyday use that maintains speed and shutter Increasing acceleration and immediate response times to make driving safe and perfect in streets straight in the presence of challenging corners. 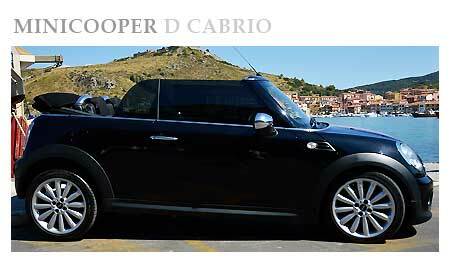 Mini Cooper Cabrio joins high technology with details of the highest quality. Description: The large display gives to all the cabin an air highly technological and fined. The same extreme attention to details has been paid outside of the Maserati, which in their line expressing the sport power which they are capable; the center of gravity of these cars is very low because of bring out the best traits sports. Description: OneWay Service Top Luxury Service. 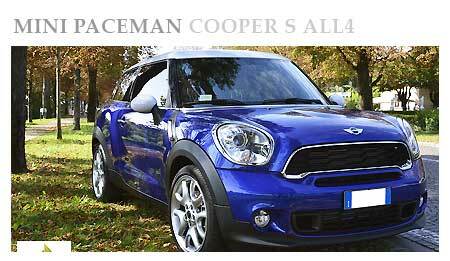 Request this service and you can rent your MiniPacemen for delivery in Italy, choosing the return in a different location (in all the provinces of Italy and major European cities). Thanks to this service, you can request the delivery of the MiniPacemen in Track Landing (service usable only for private flights). 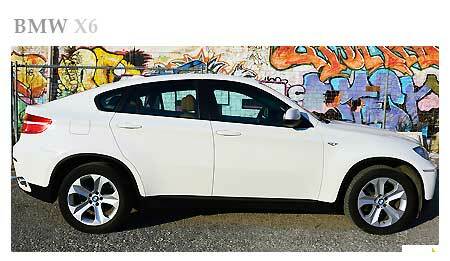 Review : I rented the BMW X3 in the month of May. For comfort, the options on-board and the efficiency of TLS staff, my vote is 10.
Review : with thermal tyres, I had no problem driving in the snowy streets of Milan. A prestigious car for safety and for comfort.. Description : Luxury car rental with delivery in Venice airport or Verona Airport, hotel or train station, compare prices for the rental of Ferrari, Lamborghini, Porsche. Review : I rented a BMW X5 Turbo by Top Luxury Service. It's a very big car, so make sure you have room for parking. Review : Good availability and fast service for the delivery of the car keys by the staff of Top Luxury Service. Our advices for your stay in Italy. The most beautiful places to visit in Italy on board of your Luxury Car: - The magnificent Leaning Tower of Pisa, Colosseum and Pantheon in Rome, san carlo theatre naples, Mount Vesuvius and Royal Palace, Mount Etna in Catania Sicily, Valle dei Templi in Agrigento, Ancient theatre of Taormina Messina, Ear of Dionysius Syracuse, Uffizi Gallery and Fountain of Neptune, Florence and much more. Reviewed by Ellen from San Francisco on Feb 09 . Summary: I found this amazing car. 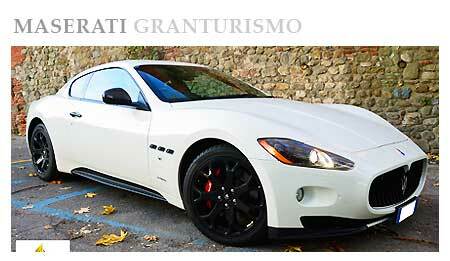 Description: I have rented several times a luxury car in Italy with Top Luxury Service. 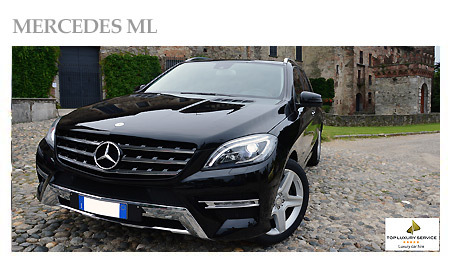 They are all luxury cars of the highest quality, with the maximum of options provided.